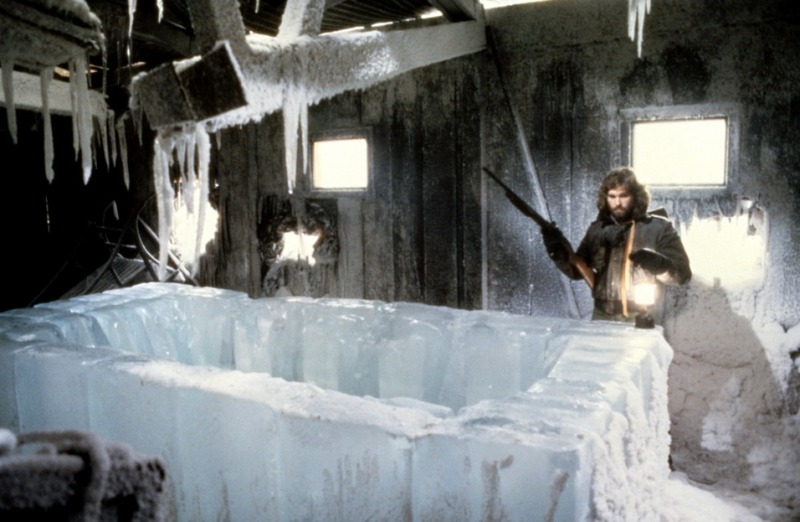 A gorefest in Antarctica, The Thing recreates the premise of Alien with more yuck but no soul. The result is a film that occasionally impresses by amping up the disgustometer, but otherwise disappoints with a hollow heart. A Norwegian helicopter with two men on board desperately tracks down and tries to kill an escaping dog in the desolate snow fields of Antarctica. The dog survives and leads the chopper into a nearby American research base, where the dog takes refuge and the Norwegian scientists end up dead. 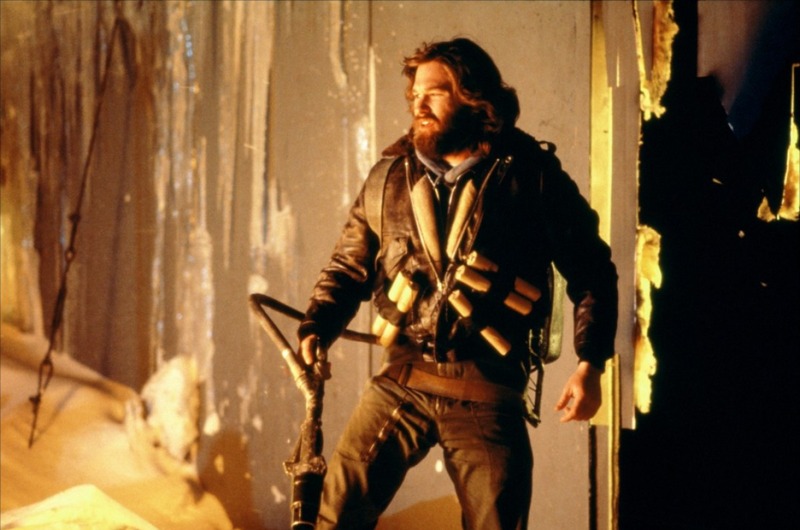 The American compound includes the stand-offish helicopter pilot MacReady (Kurt Russell) and the resident doctor Blair (Wilford Brimley), along with an assortment of scientists and technicians. They investigate the Norwegian base and find it abandoned and destroyed, and also find evidence that the Norwegians unearthed an alien spaceship, buried in the ice for ages. It turns out that an alien Thing, capable of impressive shape-shifting and extreme violence, was awoken by the Norwegians, and after killing most of the humans impersonated the dog. Now the Americans are being killed one by one, and since the Thing takes the form of its latest victim, the survivors don't know who among them is the predator. 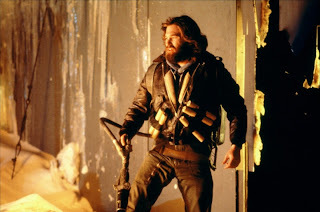 The Thing does enjoy its moments, with plenty of explosions, fires, flame-throwers, dynamite, and sudden chills and thrills. Kurt Russell moves through the carnage with a steely-eyed intent to survive and an agility to match the murderous, all-devouring and inexplicable monster. But in the rush to the gooey gore, director John Carpenter skips over a few essentials, such as establishing some characters and tension. Not even the most rudimentary backstory is presented for any of the main protagonists. MacReady is cool and detached just because he is, and the rest of the base residents may as well just take a number from a wall-mounted dispenser and wait to be attacked or killed. The failure to build any genuine tension is equally unforgivable, the film alternating between mundane scenes of the survivors getting on each others' nerves, stumbling around in the snow, and being suddenly devoured by the Thing with blood and guts spraying everywhere. An Ennio Morricone music score promises much but delivers little. The Thing is left to offer brilliant, stomach-churning special effects of dismemberment and agonizing death, but it could have delivered so much more. Although the film is technically admirable, it is as emotionally cold as the desolate setting.